As has been our tradition for the last few years, my family went backpacking by the three sisters over 4th of July weekend. 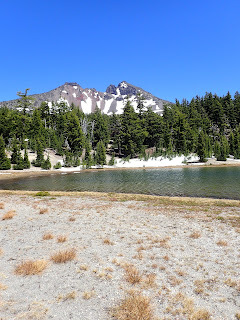 We hiked in Saturday morning and pitched our tent part way up South Sister on top of a ridge a little ways from the trail. 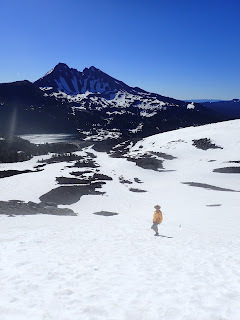 That afternoon we hiked across a snow field and caught up with the trail on our way to the top of South Sister. We had a fairly clear day, but unfortunately the clouds blew in and were thick on top of South Sister so we never had much of a view. By the time we made it back to the tent it had cleared off, so we were a little disappointed not to have had a view from the summit. Sunday we descended down some snowfields to Green Lakes. 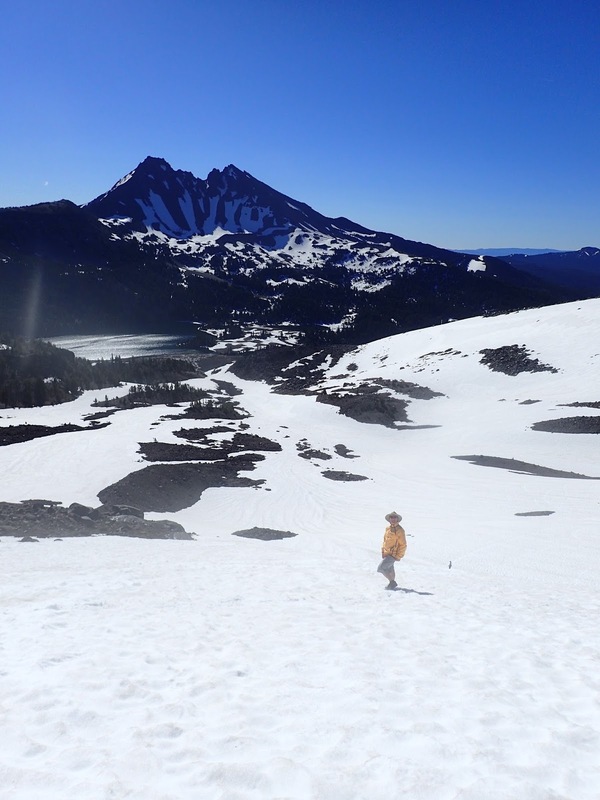 We roughly followed the trail from Green Lakes to South Sister, but since the trail was under snow, we mostly just headed straight down the snowfield. 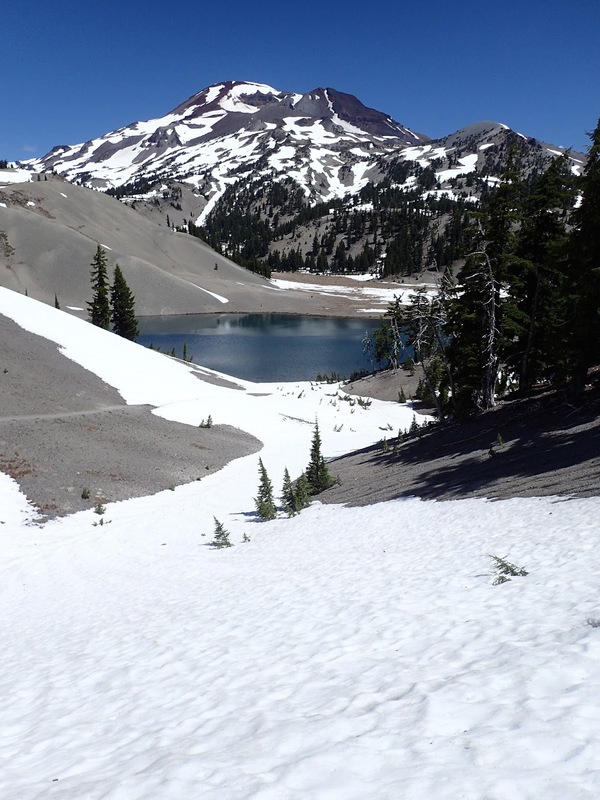 From Green Lakes we followed the climbers trail up to Broken Top. This year we scrambled up to the top which involved a short little bit of climbing (that's why we stopped short last year). 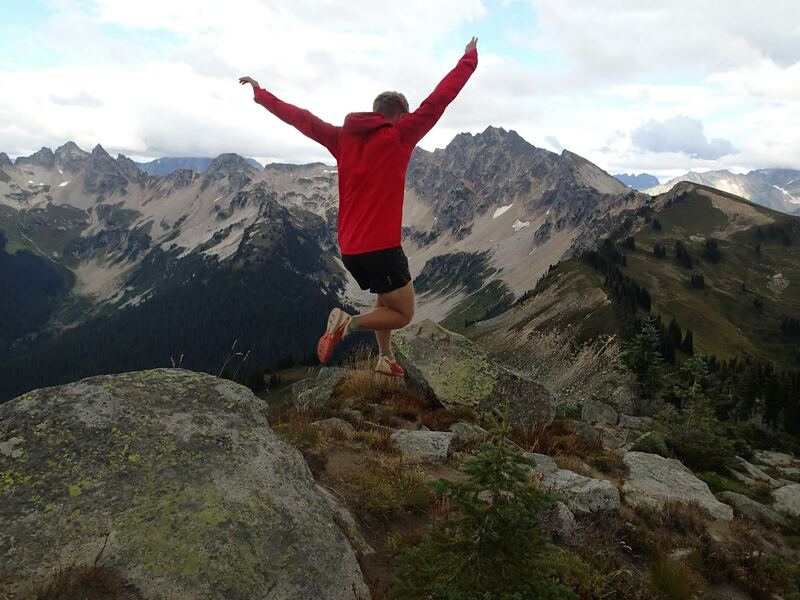 The climb isn't too hard, but if you fall, it wouldn't be good. We enjoyed the view from Broken Top before heading back down to Green Lakes and slogging back up the snowfields to our tent. Monday was our last day so we packed up the tent and headed back down to Devil's Lake Trailhead. It didn't take too long to get out and we were happy not to have to deal with many mosquitoes.